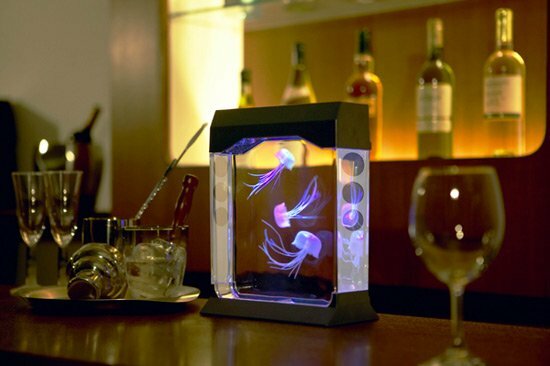 Check out this cool gadget, the Aquapict LED Jellyfish Aquarium. This cool led jellyfish aquarium, is bound to look great on your desk as the LED jellyfish swim about and change colour. They move by a slow current created in the tank that does not have an obvious flow or bubbles that make it look fake. It looks unbelievably real and beautiful! Aquapict is perfect for bedrooms, desks, offices, restaurants, or anywhere people like to relax. The Aquapict LED Jellyfish Aquarium is available for $183 from Japan Trend Shop.